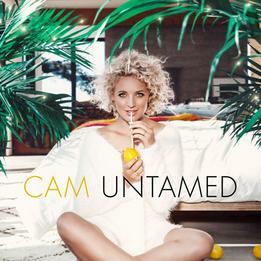 With Burning House doing well in the US charts and recently going platinum, Cam’s debut album has been eagerly awaited by her fans. The album opens with the title track, when listening to the song, there was a silence that was slowly broken by a harmonica mimicking the sound of a steam train. The song is an upbeat number that discusses that common country theme of a party where everyone is drinking and generally having a good time. It is a good opening track and showcases Cam’s voice well. Hungover on Heartache is a song that does what it says on the tin, discussing another favourite country topic of breakups. It is a slow song that gives an original view point of what it is like to be going through a break up. Mayday is a song that sounds very similar to Hungover on Heartache both in sentiment and melody. I found the song slightly disappointing as I didn’t feel it added much to the overall album. Considering this is Cam’s debut album, I thought she would have varied the subject matter of her songs, to cater for a wider audience. coupled with Cam’s overdubbed vocal. Runaway Train is an upbeat song that would make a good concert song. This song discusses the reason for the breakup if there was one. Half Broken Heart is the last breakup song on the album. It is a bouncy number that believes that a half broken heart is just as bad as a full one. Want it All is a self help song that tells the listener to go out there and start again. Maybe it was track nine because the next process after getting knocked off the proverbial horse, is to pick yourself up, dust yourself down and start again. Considering the arguable break up theme of the album, Country Ain’t Never Been Pretty feels somewhat out of place. It is a real ‘yeehaa’ country song that argues that city folk have no place in the country, because they can’t stand the mud and the dirt. As a song it is a great listen, and a welcome break from the breakup subject matter of the previous tracks. It also shows of Cam’s sassy side with the lyric “beer goggles are cheaper than Gucci anyway”. It is a real shame that Cam didn’t show more of the fun side of her personality in the songs. Hopefully we shall see this in her future work. The final track is Village a song that discusses friendship in a tight knit community. It is a positive song to end on, and highlights the value of friends. I thought it was a good album in terms of singing and song writing ability. It was just a shame that most of the songs were discussing one topic. If you have been through, or are going through, a breakup and you want an album to relate to, this is the one for you. Burning House was the highlight of the album for me. My Mistake and Country Ain’t Never Been Pretty suggests that Cam can write in many styles of country music. With banjos and harmonicas peppered throughout the songs it certainly has that country twang. Cam’s voice is one of strength and I look forward to her next release and hope it is about happier life experiences.